Valentine’s Day is coming up, and you may be searching for Valentine’s Day desserts for two. 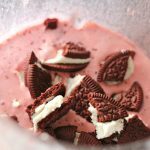 I am going to show you how to make red velvet Oreo milkshakes at home for you and your sweetie. This recipe makes one large glass or two smaller glasses. Go for the big glasses and just double the recipe! 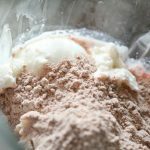 You may have seen Red Velvet Oreo Milkshakes on the menus of a couple of restaurants in the past. They pop up now and then, but they’re never around all year. What if you’re craving one in October, and they’re no where to be found. 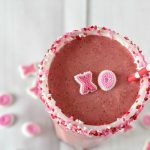 Even though this makes a perfect Valentine’s Day dessert for two, it’s so good that you’ll want to make it throughout the year. 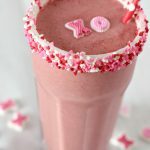 I’ve got the printable recipe for you, so you will know how to make these milkshakes at home anytime! 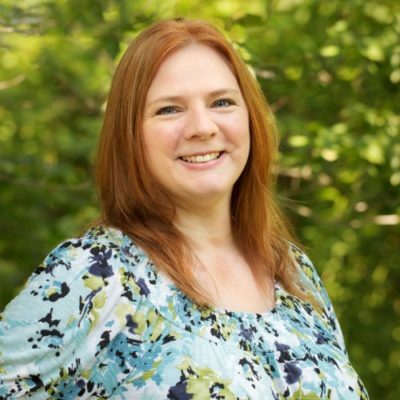 Be sure to share this with your friends. 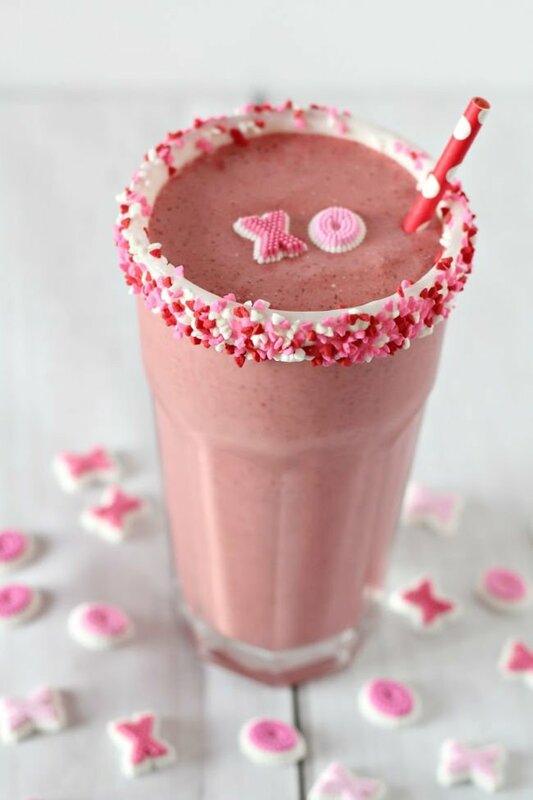 You know everyone loves milkshakes! 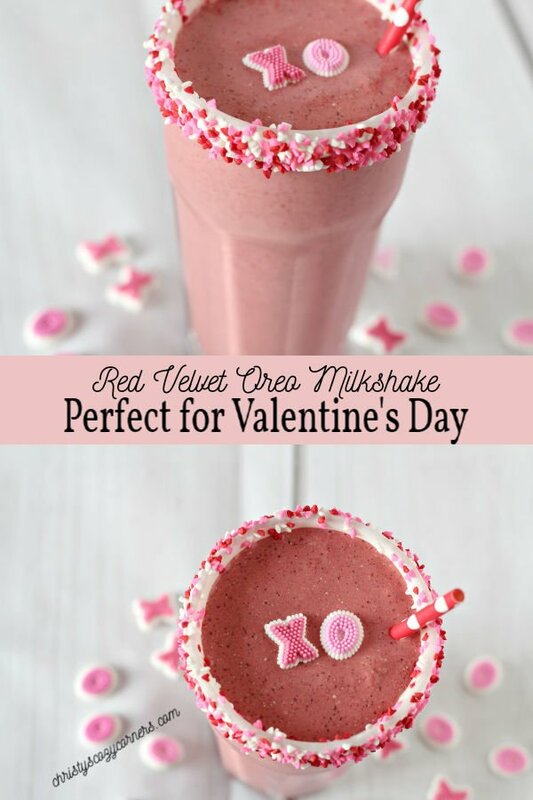 This red velvet Oreo milkshake is the perfect treat for you and your Valentine. You can each have a small glass or double it for 2 large glasses! So what do you think? 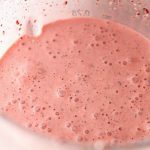 What is your favorite type of milkshake? I’m not even sure I can choose! I’m a huge fan of chocolate malts thanks to my grandma. When we would go someplace with milkshakes, that was always her choice. Being grandma’s girl, that meant they were my choice too! No matter what you make to celebrate Valentine’s Day with your sweetie (or kids or pets or books or Netflix), have fun and relax! We all need to take a break once in a while! Happy Valentine’s Day! Enjoy! Yum! Red velvet is my favorite!